Cousin Jeune was an Absinthe brand during the times of the Belle Epoque. Now this historical brand is for sale again. 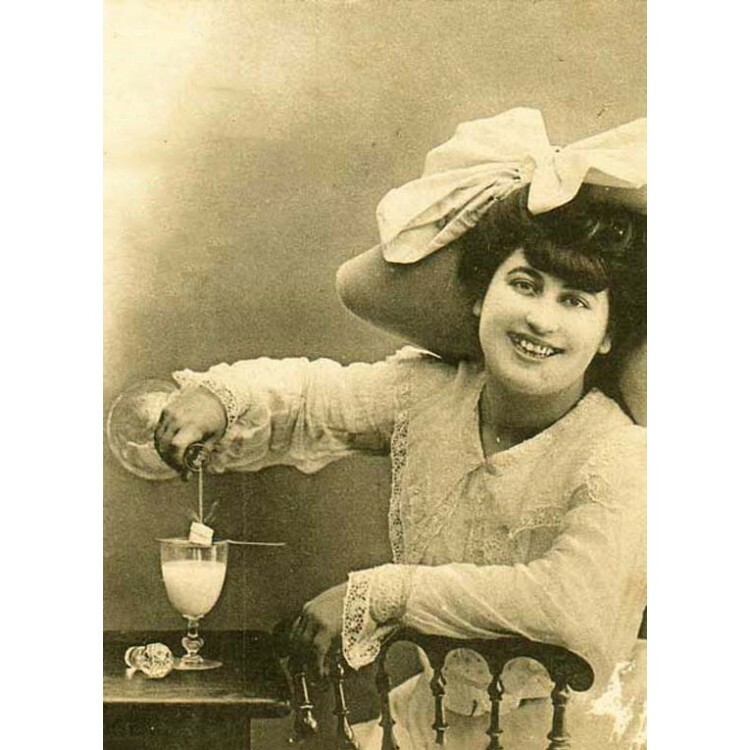 Cousin Jeune was an Absinthe brand during the times of the Belle Epoque. Now this historical brand is for sale again. Every bottle is decorated with the original vintage promotional poster of Cousin Jeune. The Absinthe itself is a classic Absinthe Blanche, meaning that no coloring herbs are added to the distillate. The result is a crystal clear, very smooth and fine Absinthe. 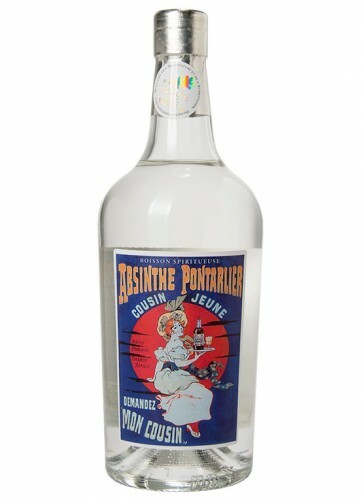 Cousin Jeune is distilled with local wormwood from Pontarlier. Therefore you will experience a very powerful wormwood taste. 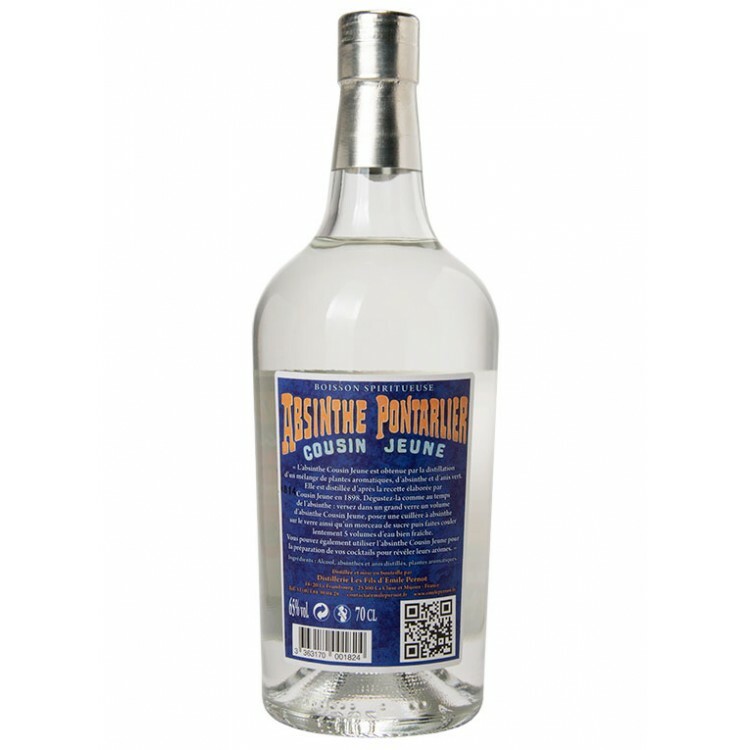 Fennel and anise, the classic Absinthe herbs, give Cousin Jeune a smooth and slightly sweet finish. 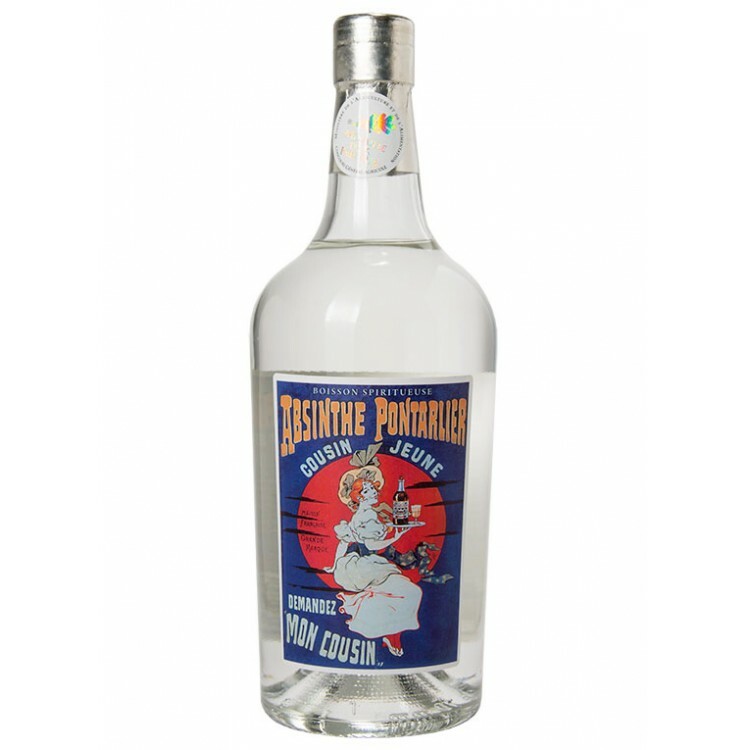 This premium Absinthe won the gold medal at a spirit contest in Paris. After Absinthe prohibition the Cousin Jeune absinthe distillery offered as well a thujone free Absinthe, an "absinthe sans-thuj". But this products was not very successful. Why? Because the truth behind the claims of the manufacturers was more than dubious. Many journals of these days satirically mocked the product. At first sip I wasn\'t quite sure about this one. It has a very predominant wormwood flavor. However, by the end of the first drink I found myself wanting another one. I am on my 3rd one now and really like this new offering from the Emile Pernot distillery. Aside from the strong wormwwod flavor, the louche is a little on the weak side. I wouldn\'t recommend this for a novice absinthe drinker, but I think people with lots of experience in absinthe will quite like this. I will certainly be getting more of this.